Find a Holland House retail store in your local area using our dealer locator. 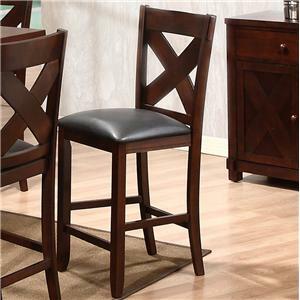 The Counter Height Chair has sleek lines with the X shape back providing style and comfort. The seat is upholstered giving you a soft place to sit. Constructed of rubberwood and acacia veneers, the chairs is finished with a rich merlot lending a dark hue with light coming through for depth. 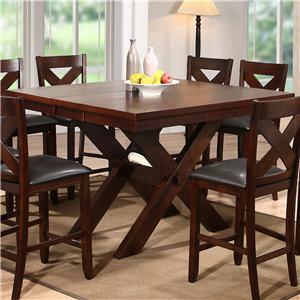 Pair the Counter Height Chair with the Counter Height Table for the perfect place to entertain your guests. The 1950 Dining X Back Counter Height Chair by Holland House is available in the area from FMG - Local Home Furnishing. Entertain your guests with the 1950 Dining Collection. The collection gives you ample space to invite friends and family over for a night of dinner, games and fun. The stylish collection features X shaped table bases, chair backs and even detailed in the sideboard keeping everything cohesive. 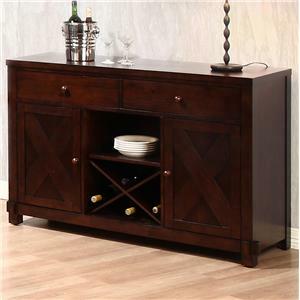 The collection has Acacia Veneers finished in a rich merlot lending a dark hue with light coming though for depth. 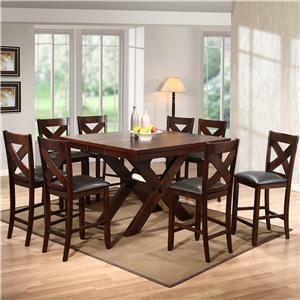 Complete your dining room with the 1950 Dining Collection with style and function. 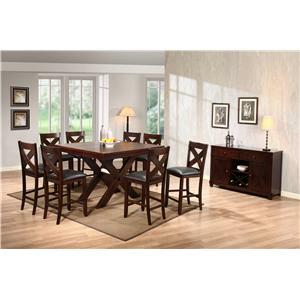 The 1950 Dining collection is a great option if you are looking for Transitional furniture in the area. Browse other items in the 1950 Dining collection from FMG - Local Home Furnishing in the area.